A 1000 pieces jigsaw puzzle made by Schmidt (reference 58561). Size: 69.3 x 49.3 cm (= 27.3 x 19.4 inch). 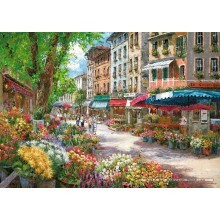 A jigsaw puzzle made by Schmidt and available to buy here at Babylon Puzzles. It's known at Schmidt with reference number 58561. 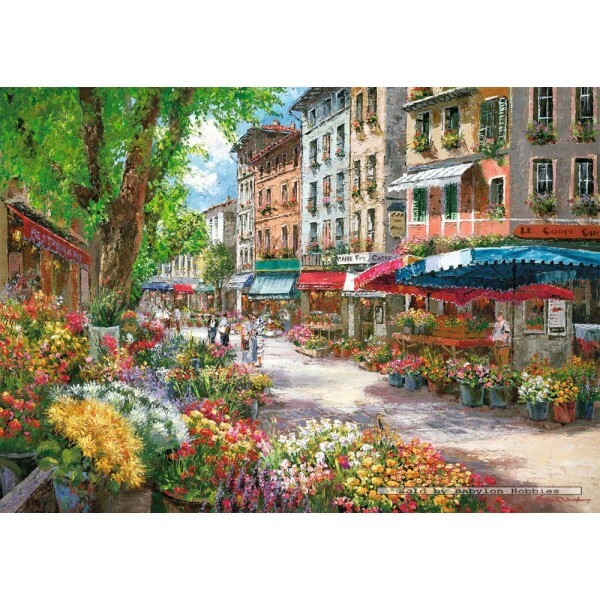 Official name is "Paris Flower Market". It consists of 1000 pieces and weighs 980 grams in the box. Once assembled this puzzle measures 69.3 x 49.3 cm (= 27.3 x 19.4 inch).